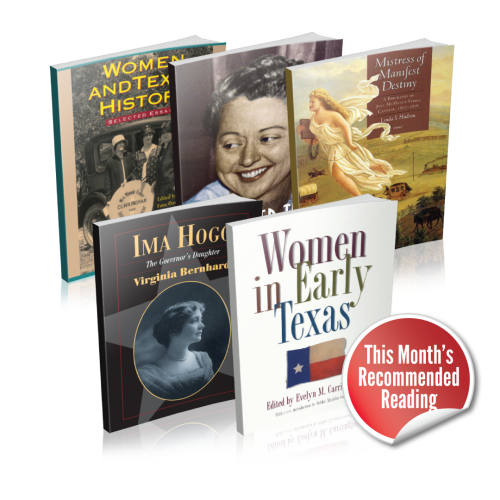 While we are launching this effort to better honor the influential women of Texas history with an already impressive library of written and interactive content, we are seeking to expand this catalog with new articles and resources in the coming months and years. Our small, dedicated team is working hard to compile this information, but we need your help for this project to thrive! New Handbook content is not possible without the volunteering of time and resources from educators, Texas history enthusiasts, and students pursuing a course of study in history. If you are an expert on a specific person, group, or era, consider writing an article or suggest new topics for the Handbook. Additionally, if you own or have access to unique photos or primary source documents, please let us know so we can help preserve and share them with others. Any help you can provide is appreciated and will ensure the long-term success of this endeavor. On the form, please indicate how you can help TSHA grow our women’s history content, as well as your preferred method of contact. Once we have your information, someone from our staff will reach out to confirm your interest and discuss potential ways you can contribute.